Andy Frame's side will be safe if they beat Blantyre Vics in their final game on Wednesday. 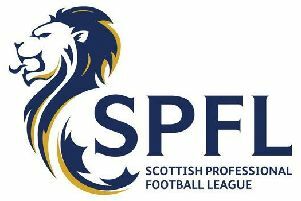 A last minute goal robbed Cumbernauld United of full points in their penultimate Super League First Division match against Rutherglen Glencairn at Guy’s Meadow on Monday night. However the 1-1 draw means a win over Blantyre Victoria tonight (Wednesday) will ensure United’s survival. The game began with a Davie Hamilton header which cleared the Glencairn crossbar, followed by a great block from United goalkeeper Davie Buchanan who had to leave his goal to save from Rutherglen’s Del McNab. Dark clouds brought torrential rain to the proceedings but fortunately clear skies returned in time to see an Alan Clark header come near for the home team. The same player had an effort well saved by the visiting keeper JC Hutchison while Davie Buchanan again came to the rescue of the home side with an excellent stop from Glencairn’s Jay McKay. Despite these goalmouth incidents it was a pretty dour struggle in the first period - until the 43rd minute when Cumbernauld were awarded a free kick some 25 yards from goal. Scott Murphy stepped up to send a magnificent bending ball into the top corner of the net. Glencairn came at United at the start of the second half but the home defence, well marshalled by skipper Terry Hewitt, repelled all attacks. Tackling was fierce as United dominated play and free kicks and yellow cards were plentiful. All the football was coming from the Cumbernauld men but Buchanan had to look lively in the 69th minute to deal with good efforts from Glencairn’s Alessandro Savarese and James Hamilton which tested the United custodian. It seemed that the home team would collect three points until disaster struck in the 90th minute. Following a Hamilton free-kick, Fraser Team slipped the ball to Savarese who sent the ball past Buchanan to rob United of a vital victory. However the point may yet prove precious in their quest to avoid relegation.